Bob Gann, Programme Director for Widening Digital Participation at NHS England, talks about an ambitious digital skills initiative to help people get online for health. Over a million people a day use the NHS. It’s the public service we all use. Now the NHS is committed to going digital to transform how people access and use health care services. 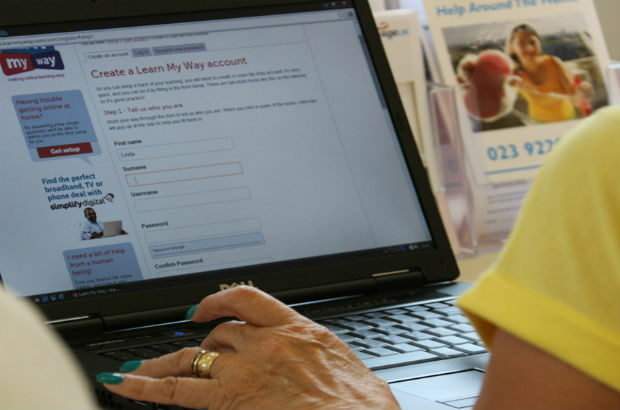 By March next year, everybody will be able to book GP appointments and request repeat prescriptions online. Yet over 7 million people have never used the internet in their lives. And often these are the people that use the NHS the most – older people, poorer people, and people with disabilities and long term conditions. So what is NHS England doing to help those people become comfortable with using technology? For the past year, we have been funding a programme of digital skills training called Widening Digital Participation working with the Tinder Foundation to provide more training opportunities for people in the community in UK Online Centres. They will work with internet beginners to introduce them to online health through a specially developed course. Currently, this course focuses on using NHS Choices, and a new module, covering accessing GP services online, will be launched this Autumn. Dan and Margaret from Hull show just what a difference getting online can make in real life. Both learned online skills through the Widening Digital Participation flagship at Inspire Communities. Dan learned more about self-care on NHS Choices, and is now successfully managing his diabetes, blood pressure and mental health. Margaret, a carer, has now been online to share her experiences of using her GP practice and has reviewed and rated the surgery on NHS Choices. I’ve been enthused, and often genuinely moved, by the inspirational work going on in local communities. Photos provided by The Tinder Foundation.